With collections of smaller jars, you can mix whatever plants are in season, including small branches, leaves, or flowers. The simpler you keep it, the better the collection looks together. 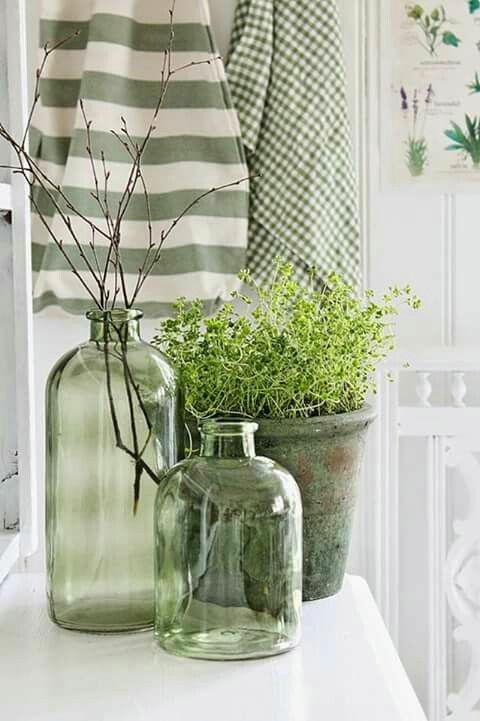 I always love the look of mixing old with new, and this is a perfect way to mix vintage bottles with new vases or even mason jars. This look could work in a kitchen, on a fireplace mantel, or even a side table in your bedroom. Just be sure to change the water every day or so to keep it looking clean!